Sulla, his closest associate, has withdrawn himself from his commander’s circle in preparation for his own bid for power. 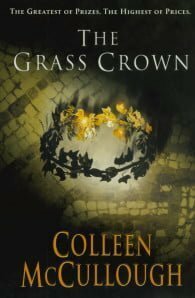 As a deadly enmity develops between the two men, Rome must fight its own battle for survival – first against her neighbouring Italian states, then against the barbaric Asian conqueror. Births, deaths, prophecies and rivalries combine to create a whirlwind of drama, and a remarkable insight into the passion and torment of ancient Rome.